Cupronickel 70/30 Plate also known as Copper Nickel 70/30 Plate. 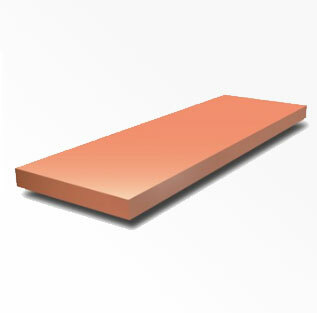 Cuni 70/30 Clad Plate is an alloy of copper that contains nickel and strengthening elements, such as iron and manganese. Copper Nickel 70/30 Sheet with 30% nickel content (C71500, C71640) and those which are more highly alloyed with aluminum, chromium or tin are used where greater resistance to seawater flow, sand abrasion, wear and galling, as well as higher mechanical properties, are required.Copper Nickel 70/30 Coil is stronger than the more common copper nickel 90/10 Plate and is able to withstand corrosion at higher velocities in marine applications, making it the favourable choice in submarine systems. We have our stockholders in India who maintain stock of CuNi 70/30 Plate (C71500) and other types of C715 / Copper Nickel 70/30 Hot rolled Plate in regular sizes. Our Distributor in India are in following locations: Mumbai, Delhi, Bangalore, Hyderabad, Surat, Pune, Nagpur, Indore, Ahmedabad, Chennai, Kolkata, Thane, Vadodara, Nashik, Bhopal, Visakhapatnam, Faridabad, Rajkot, Aurangabad, Ranchi, Coimbatore, Raipur, Mysore, Kochi (Cochin), Bhavnagar, Tirupur, Bhubaneswar, Salem, Bhilai, Bhiwandi, Bikaner, Mangalore, Ankleshwar, Assam and Siliguri. You can contact them directly for best price & exact delivery time for required size of Copper Nickel 70/30 Cold rolled Plate near you. Our latest Price list of Copper Nickel 70/30 Strip size wise will match the price list provided by our other sales locations in India, for your reference you can ask Cuni 70/30 Sheet price list by mail to stindia@stindia.com. So we can provide within 4 hours along with the actual photographs of Cuni 70/30 Plates material. Our price of Cuni 70/30 Flat Sheet is 2% cheaper in Gujarat compare to Maharashtra because we have our stockyard in Ahmedabad, Gujarat. Steel Tubes India offers one of the widest ranges of Cupro Nickel 70/30 sheet and Cupro Nickel 70/30 plate in various qualities, sizes and grades which are equivalent to Copper Nickel 70/30 Sheet & Copper Nickel 70/30 Plate (2mm to 12mm). 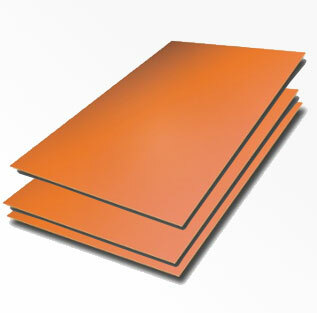 Copper Nickel 70/30 Sheet is available in thicknesses ranging from .016 to .156". Large size Copper Nickel 70/30 Plate will also diminish the size of the undesirable heat-affected zone caused by welding. We also stock & supply extra large-size Copper Nickel 70/30 Sheets, thin and ultra-thin gauge 70/30 Copper Nickel strip and foil products, rolled down to 2 microns. Superior technology as well as extensive quality control from steelmaking to finishing assure the stable production of Copper Nickel 70/30 Hot Rolled Plates in uniformly of excellent quality. We apply the process of surface finishing to our Copper Nickel 70/30 Polished Plate by pickling or buff-polishing. 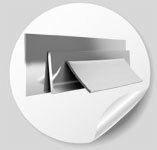 Copper Nickel 70/30 Strips levels of finishing & cut can be adjusted according to your requirements. Copper Nickel 70/30 Plate is available in the form of Sheet, Coils, Foils, Rolls, Plain Sheet, Shim Sheet, Strip, Flats, Clad Plate, Rolling Sheet, Flat Sheet, Rolling Plate and Flat Shim. The Copper Nickel 70/30 Plate Weight Calculator allows you to calculate an estimate of the weight of different sizes of Copper Nickel 70/30 plates based on dimensions and shape. 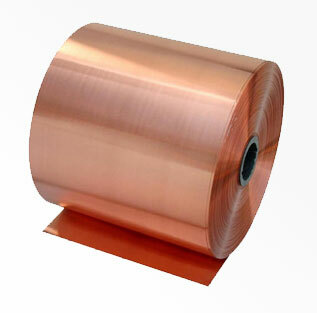 Copper Nickel 70/30 Shim is sold in either 300mm or 600mm rolls and sheet form. The thin material can be used in power plants, nuclear plants or gas and oil refineries. Our Dealers & Distributors in UK, USA, Sweden, Israel, Germany, Russia, France, Italy, Canada, UAE, Saudi Arabia, Malaysia, Singapore, Oman, Kuwait, Qatar, Iran, Indonesia & Australia arrange complete range of Copper Nickel 70/30 plates in shortest time as well at best price, because we maintain Copper Nickel 70/30 Sheet in stock for sale, so it saves time & cost to procure any size range in Bright annealed Copper Nickel 70/30 sheet from any other vendor or Manufacturer of mirror finish Copper Nickel 70/30 Plate in India. Copper Nickel 70/30 Clad plate: Copper Nickel 70/30 Clad plate is a composite steel plate made by bonding Copper Nickel 70/30 plate, etc. If thickness greater than 6.35 mm is called a Copper Nickel 70/30 Plate. If thickness greater than 0.15 mm and less than 6.35mm is called a Copper Nickel 70/30 Sheet. If thickness less than 0.15mm is then its a Copper Nickel 70/30 Foil.